Gabriela Alves de Azevedo, 22, holds her two-year-old daughter Ana Sophia, who was born with microcephaly, at their house in Olinda, Brazil, August 7, 2018. RECIFE, Brazil - Nearly three years after a Zika outbreak in Brazil caused thousands of cases of microcephaly and other devastating birth defects in newborns, Reuters returned to check on the mothers and their children. Zika, the first mosquito-borne virus known to damage developing foetuses, has since disappeared from headlines, but world health officials fear its spread to new populations. 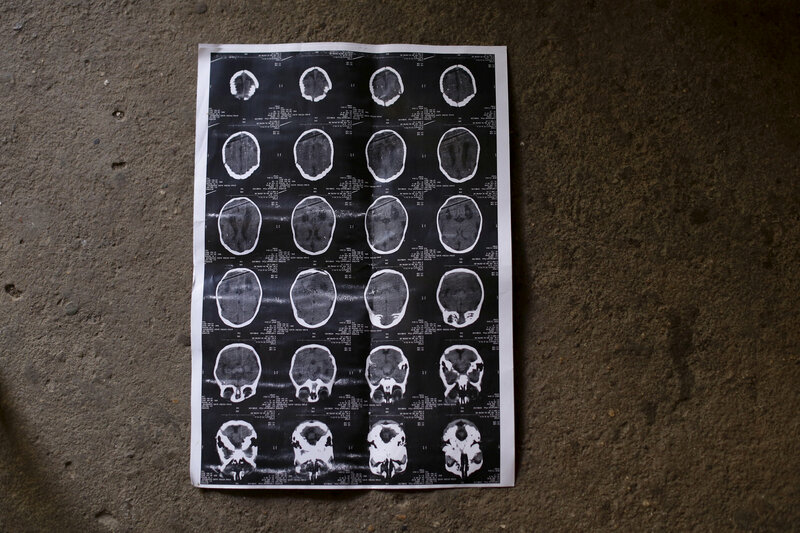 In Angola, dozens of babies born with microcephaly since 2017 appear linked to the same strain of Zika that hit Latin America. In north-eastern Brazil, we spoke with nearly 30 mothers who contracted the Zika virus during pregnancy. Most of them have been abandoned by their husbands and must care for their children alone. Many of the women have largely adjusted to the initial shock of their child's disability, trading dreams of their own careers for the reality of around-the-clock care of a child who may never walk or talk. Many struggle to get by on a monthly disability check of just over 954 reais (S$350), which must cover shelter, food, medications and transportation to frequent doctor visits. Some seek comfort among mothers whose children share the same affliction. Others expressed gratitude for family members or friends who offer a break from the daily grind. Many confessed to despair and depression, and some considered suicide. But they share a fierce love for their children and a hope for a better life. Four of them provided us a glimpse of their daily life in simple homes on the outskirts of Recife and Olinda, two cities in the state of Pernambuco. Ms Gabriela Alves de Azevedo, 22, lives outside of Olinda with her daughter, Ana Sophia, now three years old. Ana Sophia has microcephaly, a rare birth defect marked by small head size that signifies arrested brain development during gestation. Before Zika, such birth defects had never been linked to a mosquito-borne disease. Besides developmental issues, Ana Sophia has vision and hearing problems and trouble swallowing. Ms Gabriela had planned to finish high school and study physical therapy. Now, she spends her days caring for her child. Her husband left shortly after Ana Sophia's birth. He could not accept their child's condition, Ms Gabriela says, and does not pay child support. "I went into depression and my family helped me," she said. "If it was not for them, I would have gone crazy." Today, some relatives give moral support and Ana Sophia's paternal grandmother helps with her day-to-day care. Ms Gabriela does physical therapy exercises at home with her daughter and thinks her health has improved. "Nowadays, I treat my daughter like a normal child. I know she has her deficiency, but I pretend she does not." Ms Gleyse Kelly da Silva, 28, has help from her husband and mother in caring for three-year-old Maria Giovanna "Gigi" da Silva. But the burden is still great, and she was forced to leave her job as a toll attendant. After Gigi was born, there were many consultations with medical teams trying to understand the full implications of Zika. Those visits are less frequent, but Gigi's medical challenges are significant. "She does not sit alone, she does not roll, she does not do anything alone," Ms Gleyse said. Gigi needs an orthopaedist, but there are not enough to go around, and she is perpetually on waiting lists. Ms Gleyse struggles with navigating on public transportation with her daughter's wheelchair. Few buses have working lifts, and some drivers have refused to help her. "People do not respect my daughter's rights," she said. Other mothers have told her similar stories, including a bus passenger who refused to ride with "that demon", referring to a baby with microcephaly. Such struggles prompted Ms Gleyse to help create the Union of Mothers of Angels, which provides advice and logistical support for mothers of children with microcephaly. The group now serves more than 250 families in Pernambuco. Ms Gleyse says some mothers have abandoned their children due to the many hardships, sending them to live with grandparents or other relatives. She is determined to make a place for in the world for children like Gigi. Her advice to other mothers: "Don't ever give up." A few years ago, Ms Jackeline Vieira de Souza, 28, of Olinda, fought to overcome a very rare complication from an earlier pregnancy, and then survived cancer. "My dream was to be a mother again," she says. In 2015, she got her wish. But during her pregnancy, she learnt that her son, Daniel Vieira de Oliveira, had microcephaly. 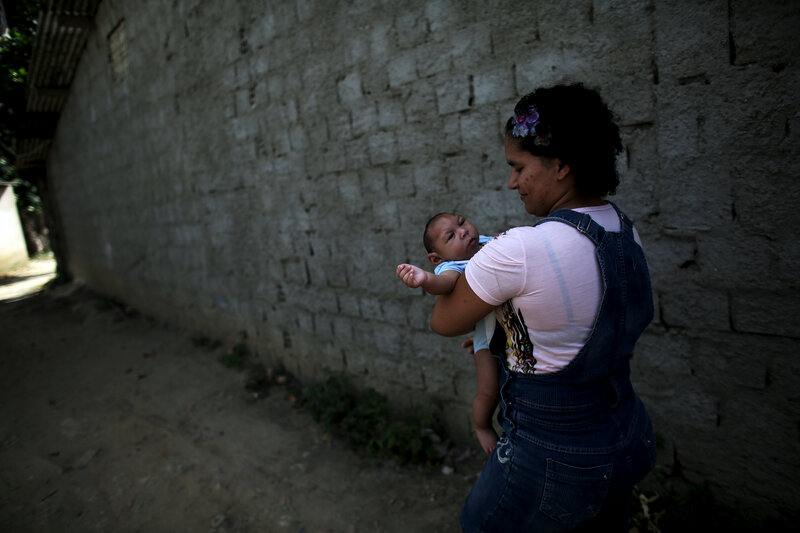 Jackeline Vieira de Souza, 26, holds her four-month-old son Daniel who was born with microcephaly, as they walk toward their house in Olinda, near Recife, Brazil, February 11, 2016. "When he was born, I fell in love with him because I knew he would be a good thing in my life, even with the difficulties I would have to face." Daniel's father separated from Ms Jackeline shortly after learning that his son had microcephaly. He pays a small amount of family support every month, in addition to a monthly check that Ms Jackeline gets from the government. It takes several hours to travel by bus between their home in Olinda and Recife, where Daniel goes for treatments. Lately, those trips are somewhat less frequent, and Ms Jackeline believes Daniel's health is more stable. She has no illusions that her son will ever walk, eat on his own or live a normal life. Yet, in many ways, she is grateful for her "miracle" baby, who she says makes her feel "happy and more accomplished". Ms Rosana Vieira Alves, 28, has three daughters, but nearly all of her attention goes to her youngest, Luana Vieira da Silva, age three. "It's hard to manage the girls. Some of them are jealous, but Luana needs more care. In time, they'll understand." Ms Rosana does not have any family support and is overwhelmed by the cost of housing and Luana's medicines. She counts it a victory that she has managed to get a wheelchair for Luana, and worries about the four operations her daughter needs to correct problems with her eyes, her gut and the position of her hips and feet. The demands have taken Ms Rosana to some dark places, and she confesses that she has considered suicide. But she still dreams of a better future, and hopes to get a degree in accounting or civil engineering. "I'm sure one day I'll get there," she said.